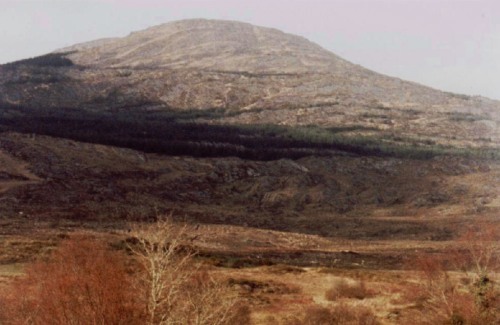 1, 2, 4, 5, 7, 8, 10, 12, 13, 15, 16 recorded in the front room or in Christy's cabin at Maugha, in the mountains above Kealkil, near Bantry in West Cork (Ireland). 3, 6, 9, 11, 14 recorded at Paul's house, near Ballydehob (or was it Skibbereen?) one evening when Mike drove us over there for a session. "Farewell to Milltown" is a traditional Irish tune. So is "King o' the Faeries", although we've mutated it considerably. "Cool Mountain Balalaika" may be (based on) a traditional Russian tune. Or Inge (or someone else) might have made it up. She can't remember. Kris made up "Whisper in the Woods" and "Morroc 'n' Roll" was Paul's. The rest are our own creations. Considering the appalling sound quality, to best appreciate this collection, we recommend imagining that you're alone on a little boat in the North Sea, late at night, tuning in to mediumwave radio, and that you've picked up this fairly weak signal of some strange music - is it from Latvia? Somewhere in the Balkans perhaps? You may never know.